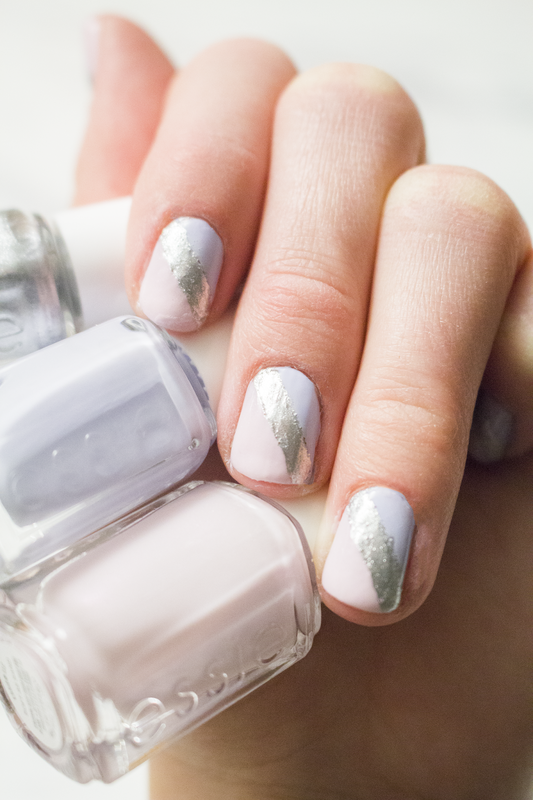 I saw a tutorial on the Essie website the other day for two-tone nails. They had two colors with a diagonal stripe in the middle that wasn't painted. I decided to try it myself but do something a bit different. 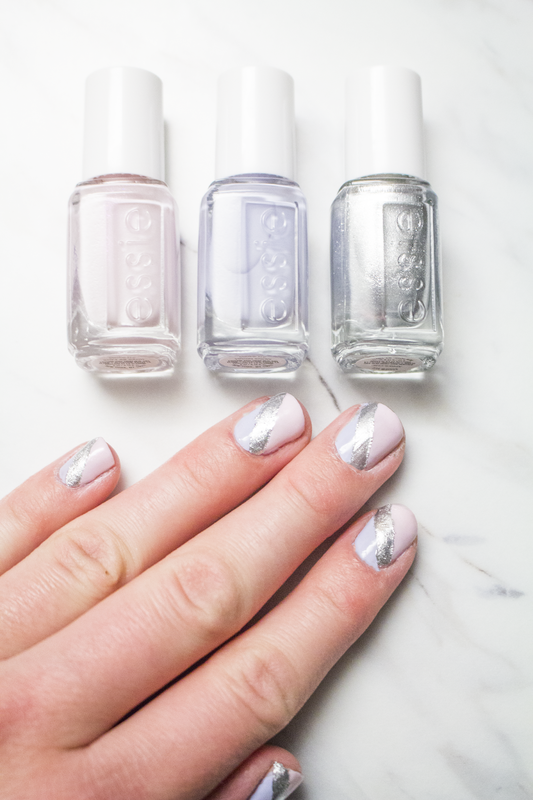 The key to achieving this DIY mani is patience! You have to let your nails dry completely before completing some steps. Therefore, I would do this while you are watching your favorite show, browsing the internet, or reading a good book! 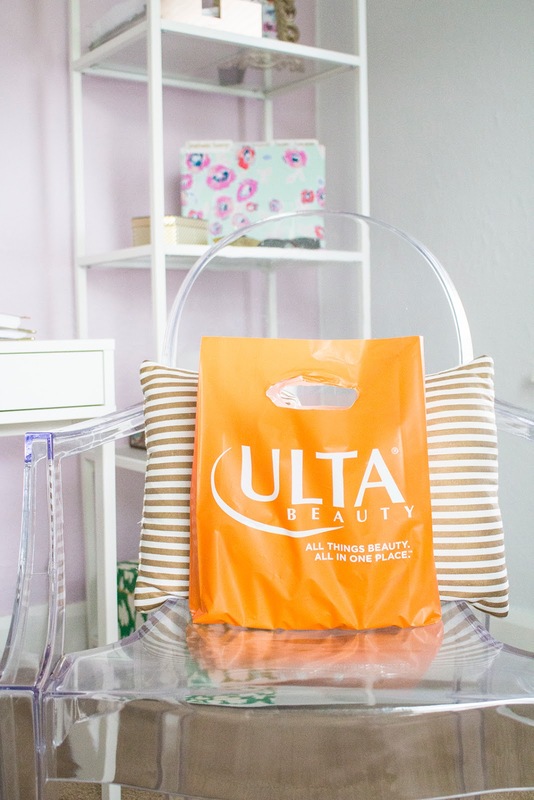 For starters, you will need three colors. 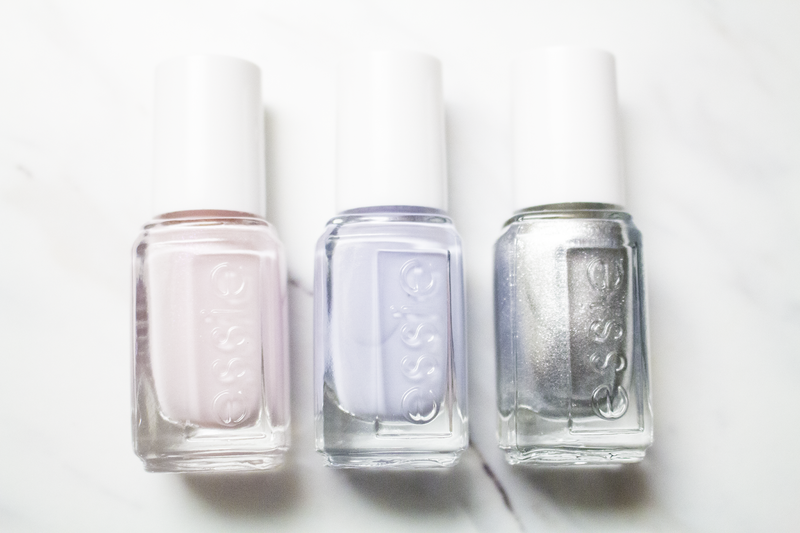 I chose Virgin Snow, Soft As Sand, and Apres-Chic (Essie Mini Collection. 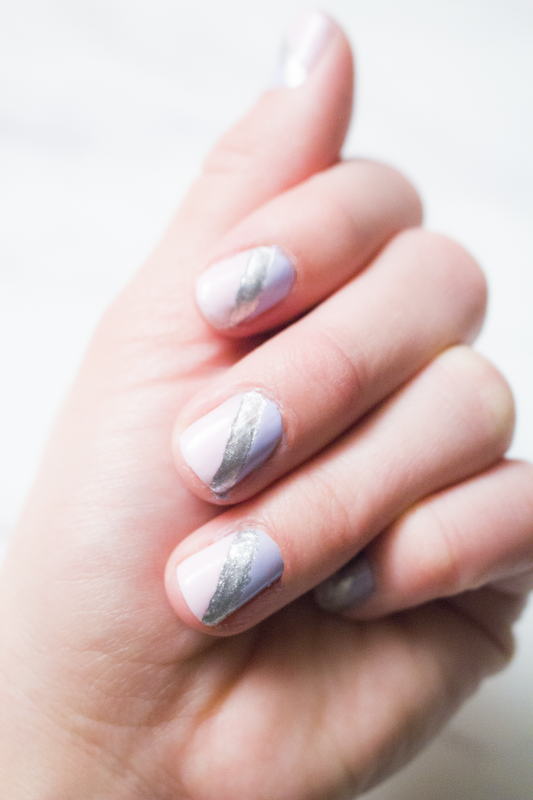 1// Using artist tape/washi tape, cut it into a thin strip and place diagonally on your nail. 2 // Apply a base coat on either side. 3 // Using two of your colors, paint two coats on each side of the tape. Remove tape when dry. Make sure you let each side dry completely. 4 // Using your last color, fill in the stripe in the middle. You can choose to cover the sides of the nail you already painted with tape or free hand. My nail polish brush fit perfectly in the stripe that wasn't painted, so I just did free hand. 5 // Let your nails dry completely then apply a generous coat of Gel Setter. What do you think? 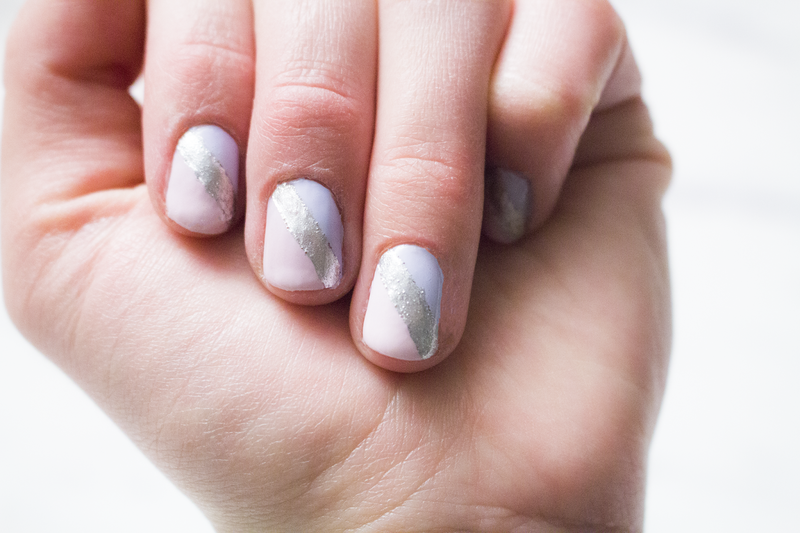 Would you do this DIY mani at home?